Are you done listing all the dishes you will be preparing for the Christmas eve dinner with the family? 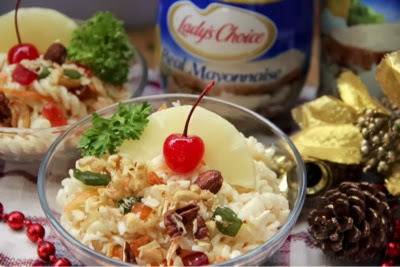 For me I started to sample some of my ideas and dishes I am going to prepare and one of which is this Christmas fruit and nut twisted macaroni salad I made, this is also my official entry for Lady's Choice Real Mayonnaise best macaroni salad dish. 2. While the macaroni is cooking it is time to prepare the dressing and other ingredients. 3. Open a can of pineapple slice, drain and set aside. 4. Mixed one small white onion peeled and chopped ( you can use electric mincer or food processor to have a consistent size of chopped onion and you can save more time too. 5. Peel one small carrot, cut and slice it into Julienne strips. Wash, drain and set aside. 6. Mix assorted nuts (almonds, pecan, walnut, and cashew) rough chop it in a wooden chopping board using the sharp edge of the knife. 7. When macaroni pasta is cooked drain and wash it in a running water to stop the cooking process and also by doing this it will prevent the macaroni to become sticky. 8. Prepare the macaroni in a large bowl where you can mix everything in it. Pour in all the dry ingredients. First the minced onion, sugar, salt, and pepper, carrots, half portion of the assorted chopped nuts ( leave the other half portion for garnishing). 9. When all dry ingredients are mixed the fun part of mixing the macaroni pasta and Lady's Choice Real Mayonnaise plus the all-purpose cream together. Mix it scooping from top to bottom in a circular motion. Do not over mix. Cover it before placing it inside the refrigerator to chill before serving. 10. Place four crystal pasta bowl just enough, Garnish it with pineapple slice cut into half, sprinkle some chopped nuts and some whole almond nuts and add some candied fruit on the sides. Add a cherry with stalk and garnish it with parsley. My Christmas Fruit and Nut Twisted Macaroni Salad. A lighter version of the typical meat loaded macaroni salad this Christmas season. Best paired with any roast beef or even your favorite barbecue. The crunchiness of the assorted nuts and the creaminess of Lady's Choice Real Mayonnaise is just perfect with every spoonful. You can always substitute nuts depends on what is available, dried seedless raisins can be a substitute instead of candied fruit. Cooking and preparation time18-20 minutes. I guess my kids are just so prone to hitting their accident level area. Just this morning as I was helping my daughter to prepare for school... Our usual things we do every school day. She caught up with an accident at home, I told her to go down to wear her school shoes because the school service will arrive anytime. As I hear her sing while leaving her room and me grabbed her bed cover and fixing her bed... I heard this loud blag sound for about six times. I knew that she fell from the stairs ( so scared while I hurry to see how she was). I made her drink a sip of water so she can calm down and told her to relax because I got her already. I was holding her while trying to inspect her body... We sat and checked to see is she had any broken bones or anything bad. Thank God! Nothing serious happened to her, though she complains of a little pain on her right shoulder blade. I made her skip the morning class and I didn't report for work too. 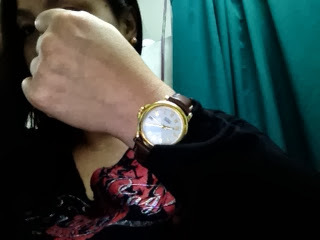 Gave her cold compress and pain reliever round the clock. She was able to go to school in the afternoon and she is home now. I just couldn't imagine the worst thing that can happen to her, I just can understand how accident prone they are lately. Now, I need to remind them over and over again to take that extra care when they do stuff even when they are inside the house. There are songs that can bring you back in a certain time and a certain part of your life. These are the songs that you get to listen while you were growing up. Songs such as Its Sad to Belong, Gone too far, We'll never have to say Goodbye again, Love is the Answer and Nights are forever without you by John Ford Coley's songs are the music I hear everytime my father turns on the radio or even play those cassette tapes. During the 80's music was so powerful, it brought me and made me appreciate songs that until now are so classic. It never changed and it really brings you back. I saw John Ford Coley perform awhile ago and I must say this is such a rare occasion that for the next decade I can never experience again. 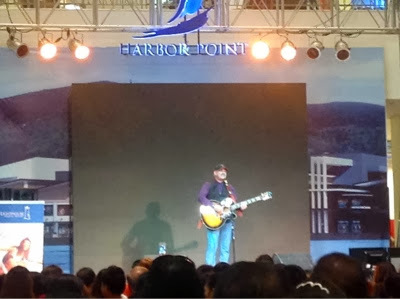 He performed live here at Harbor Point Ayala Mall- Subic Bay Freeport Zone for the benefit of the victims of the Typhoon Yolanda. Although the performance wasn't that long I enjoyed every minute of it, and while listening to him I closed my eyes and went back to the day where it was a sunny Sunday morning and I was a little kid. It was a breezy Sunday morning and it felt nice. That is how I can describe the music I just listened live. My bottles of Cif cream lemon surface cleaner arrived today! 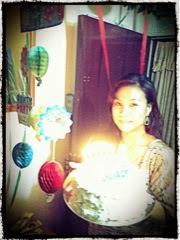 This is from Roller Coaster Ride blog anniversary contest which I've won a few weeks ago. 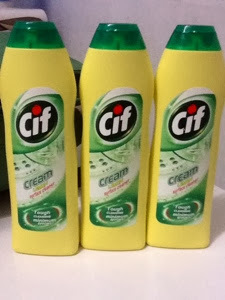 Three (3) 250 ml bottles of Cif Surface cleaner which I am excited to try at home. 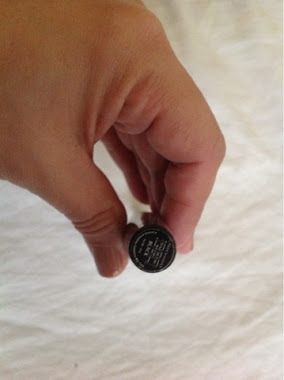 I am excited to try this product as I have seen this over at other blogpost from bloggers. At the back of each bottle it has this instructions for use and I am fascinated with the smell and it says there that I can use it without needing to wet the surface. The scent is so refreshingly lemon... One of my favorite scent! And the nicest thing about this prize is... 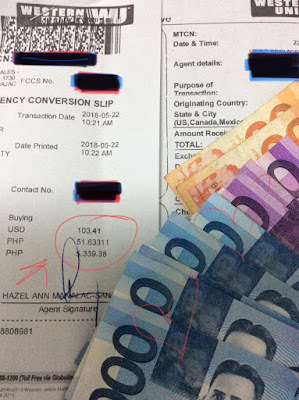 I don't have to buy my regulare cleaning agent which I can save some money. The perks of winning items which I can use. Thanks Roller Coaster Ride! Last Tuesday around 7pm while I preparing dinner after I got home from work, I got a call from a person in charge at YMCA. The call was an information that my son who went to his football drill training for the Alaska Cup for next month had an accident and now at the Emergency room of James Gordon Memorial Hospital. I did not panic nor thought of anything serious his condition, I left the house, turned off the stove, unplugged the washer and covered all the food in the dinner table. I left my 9-year-old daughter alone who just came from her Kumon class. I gave her instructions on what to do and ask the landlord to look over the house and my daughter as I need to check on my son at the hospital. 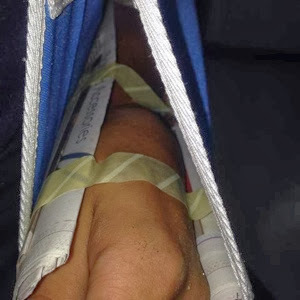 There I saw him, on a sling with his left arm wrapped and tapped with a newspaper to stabilize movement and waiting for the x-ray technician. What happened was they were doing the drills, running backward with his spike shoes on and tripped when he stepped on this rock, made a fall and his left arm caught up with all of his weight. 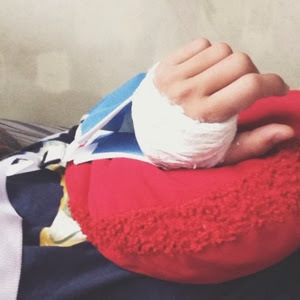 Colles fracture of the left arm. He underwent a closed reduction procedure of the Colles at the Lourdes Hospital since there was not any available portable x-ray at JLGMH. Brought him home around 2 am on Wednesday after a minor surgery, and we passed the post op- 48 hour period. 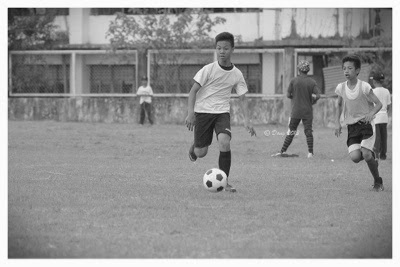 He went back to school yesterday and all the plans for the Alaska Cup 2013 and also the CLARAA meet. Day1 with the arm cast. And, the battle of having a foreign object attached to him started. He is irritable with the itch and annoys me demanding that the cast placed was not right, he wanted to poke the inside of the cast so he can scratch it, he removes the sling which I told him to stop doing it because it might cause serious problems after, gave him medications and do's on how to relieve itchiness and pain was given. He is very impatient, very annoying and doesn't listen. I try to understand him, being a mom and a nurse at the same time... But I get tired too. Three months and I am counting. Maybelline BB Cream Sample got mine today... Oh wait EXPIRED sample! 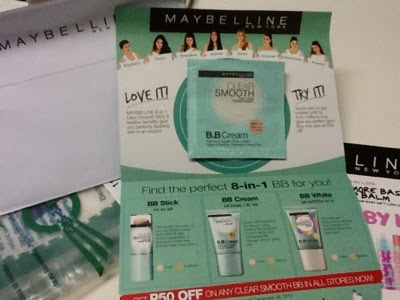 Earlier this week I signed up for a Maybelline BB Cream sample over at Maybelline Philippines Facebook page. I honestly haven't tried using this brand because I find it a little expensive and way out of my make-up budget, glad that I can now try it. 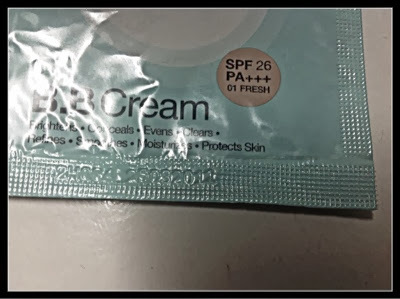 The sample pack contains 1ml of BB Cream in SPF26, it says here that it brightens, conceals, evens, clears, refines, smoothes, moisturizes and protect skin. Wow it has everything I needed for a BB cream! Excited to use it tomorrow, thank you Maybelline Philippines for the sample pack. Go ahead and hover to their page to get your sample too. Oh wait! As I was examining the sample pack just now I saw this. I am shocked! Giving out sample to people that has been expired for almost three (3) years! Hey Maybelline Philippines... What happened here? Tsk tsk! Who is handling the promotion for this free samples? A few weeks ago I was redirected to this Facebook page of MiPow Philippines, there was a game by which entrants can comment on their post about "Do You Have the Shake?" All I did was comment on what experienced I had in the past that made me shake because all the batteries at home went dead. In the recent experience we had it was when the City of Olongapo got flooded a couple of weeks ago, power was down and all the gadget batteries at home went drain. We did not have any means of communication outside our place. We waited until the rain stopped and the flood water subside which took more than 24 hours. It was scary! We were trapped and we couldn't get help. Out of the many who posted their comments as entries MiPow chose me as one of the winners. 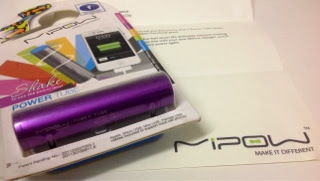 The prize, it's the MiPow Power Tube Shake 2600mah and my prize arrived last Saturday. 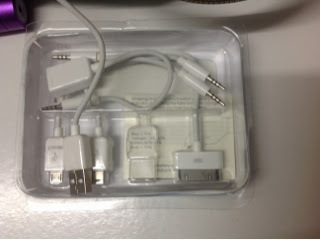 Apple, Micro USB, Mini USB, Female USB cables included to support most cell phones. 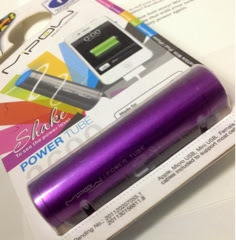 My MiPow Shake in Purple ... So pretty! 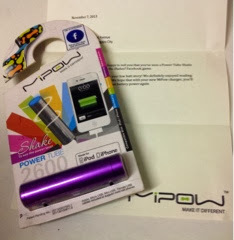 MiPow also sent me this thank you letter for joining the game. 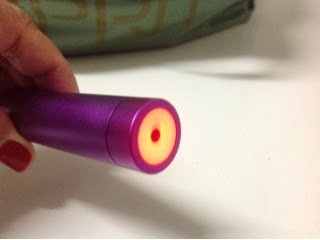 The tube lights up with the distinguish color that depends on the charging capacity. I need to charge it before my initial use roughly 4 hours or until the light turn stable blue. I was really planning to buy one of this since the power became unstable in our area and also my pocket wifi needs charging specially when we are out of the house, I have now my assistant that can connect me anywhere and everywhere. 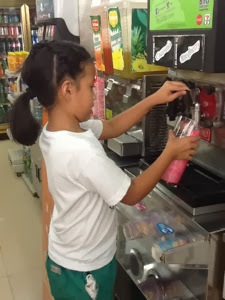 Yesterday, me and my daughter joined the thousand of Filipinos for the #BYOCupDay Slurpee at 7-Eleven. For P29.00 you can bring any cup, container, hat, boot, bamboo, tower pitcher etc, and you can get as many as you want Slurpee at all participating stores. At the struck of 12noon (lunchbreak) we brought this clear glass flower base I have here in the office (washed it thoroughly until I was sure that it was totally clean...haha!) 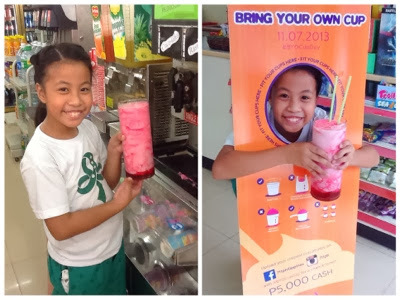 and got or Slurpee all you want Raspberry flavor for P29.00, my daughter was so excited and surprisingly she was the first customer who availed the #BYOCupDay at 711 Ulo ng Apo branch here in Olongapo, the crew took a picture of her in the promo poster standee. Little Girl Scout so proud! 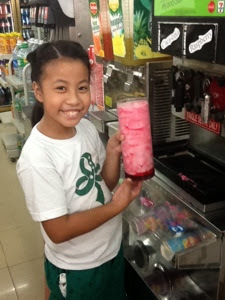 Made this as our entry for the #BYOCupday #Slurpee contest at 711 Facebook and Instagram contest. :) (hopeful in winning). 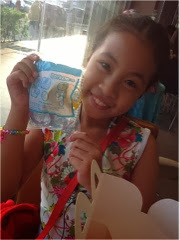 Did you participate in this so cool, so brainfreeze and so refreshing event of 711 Philippines? 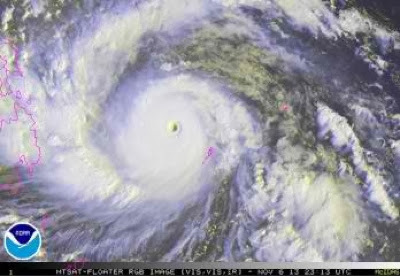 Super typhoon Haiyan/ Yolanda made its landfall early morning of Friday. With its strongest 315 km-380 km, it is now directly hovering the area of the Central part of the Philippines. This morning storm signal was determined by the areas where it will be affected. Evacuation of local and national government was done as early as yesterday and the close monitoring of this super typhoon via PAGASA weather bureau. This is now believed to be the Typhoon of the Century because of the wide and enormous formation. Suspension of classes and office were made last night and list adds up early this morning. Here in Zambales, we are now on signal no.1, this morning cloudy skies and strong winds were felt. I just wish and hope for the safety of everyone, especially to those people in Bohol and Cebu that were recently struck and left huge damage by the earthquake. This is how we experience global warming due to environmental damage caused by humans. We took for granted how we should treat mother nature. It is never too late to protect and preserve our planet, especially for us adults to cultivate for our future generation. "Copyright infringement is the use of works under copyright, infringing the copyright holder's exclusive rights, such as the right to reproduce, distribute, display or perform the copyrighted work, or to make derivative works, without permission from the copyright holder, which is typically a publisher or other business representing or assigned by the work's creator." If you are a contest junkie like I am please play fair! Joining contest specially when it involves photographs as your entry needed time and effort so that you can come up with the best entry to fit the category. Or if you are tricky and never think of consequences in regards with your act you will result to grabbing photos over the web and claim it as yours. 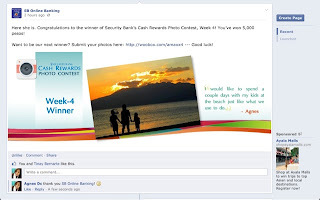 This happened to this recent photo contest I joined in over Facebook. The concept of the contest was to post interesting photos during your daily commute. 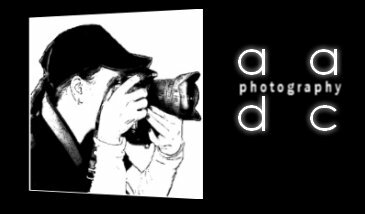 Meaning you should sumbit your own photos, photos that you took, photos that you created. Since I have stock photos that goes with the theme I submitted entries for it, and since it is not a "most like wins" kind of contest I was confident about the decision of the contest admin. The prize? 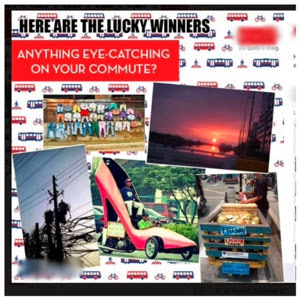 Five winners of Tretorn shoes for men. During the middle of the contest week I saw this entry. I was shocked when I saw this! I knew that photo because I have seen it so many times over the net, in social network sites. I read the caption and the contestant obviously claimed the photo as hers. I was like duh! I never said anything and waited for the result of the contest, and a couple of days ago as i checked the announcement.... Guess what! That entry won! I felt sick and angry because I am a hobbyist photographer and the feeling of something was taken from you in the advantage of winning a pair of shoes! I did experience photo grabbing and disregarded me as the owner of the photo and even claimed that she's the one in the photograph. I called her attention and removed her from my friends list. This is not new, a few months ago copyright infringement was all over the news because of this Filipino who grabbed photos and won in an International contest. The giant shoe from Marikina is a photograph of a Filipino Photojournalist from Reuters and copyright of that photos can be seen everywhere. Articles from different news websites used that photo and gave credit to the owner. We called up the attention of the contest admin and I appreciate that they reply and made the right thing, the winner was disqualified due to copyright infringement. I just do hope that the rest of the winners there are legit entries. The much awaited long weekend was over, did you guys enjoy your long weekend? Did you spend it with your family or friends? 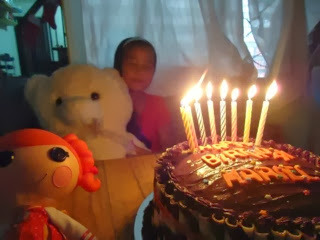 For me, as always we anticipate for those times, it is out time to spend it with the kids. Before the weekend started Olongapo City Mardi Gras 2013 took place and a crowd of thousand gathered and partied along the stretched of the famous Magsaysay Drive. We geared up our cameras to shoot some photos for a client who wanted to have pictures of their mini-event at the Globe stage. 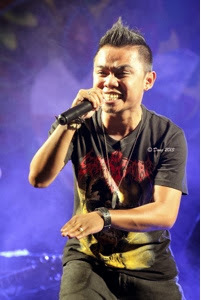 A band from Tuguegarao City called ( Emily's band) was performing that night. We got some photos of them below. The whole street of Magsaysay Drive was full packed estimated crowd for the event was 16,000 people breaking the record for the Sayaw Gapo (unofficial). We head to get a cup of coffee at McDo and brought it home... ( ended up calling the hotline bec the coffee they gave us tasted like warm water) <<- lesson of the story double check what you getting from take-out. See the competitive face? He hates this photo that is why I am posting it here. Their team stepped up to the Championship when they defeated one team from a private school 4-0 and he goaled one from yhe final score. After the championship they faced the contending champion and my son's team landed second place. Then Sunday came, it was my daughter's day for the Halloween Trick or Treat at Harbor Point mall. We went there around 10 am and started to go hover around the list of the merchant stores with her goodie bag. 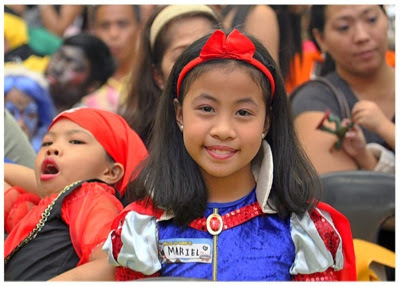 My Snow White during the costume parade and competition. She had lots of fun and brought home two bags full of candies. After the program we head to the Mall's chapel for the sunday mass. We spent the whole Sunday at the mall, it was tiring but so worth it. Important thing is that kids had fun and was able to go with them. This was our weekend, what was yours? Ok, when it's FREE I always raise my hand...well, who wouldn't? Here is another tip to get you to score some free food vouchers or even discount vouchers, this time it's from Burger King. 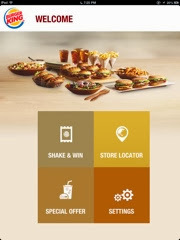 Recently, they launched this Shake & Win application which I downloaded from Apps Store over at iOs which you can avail free food vouchers when you check-in in one of their stores. And since our last stop this afternoon was a good P99.00 burger meals at Burger King we tried out the application and it worked! 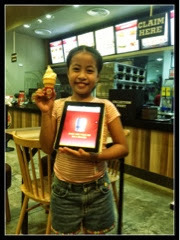 The voucher automatically appeared from the app to my tablet (iPad) and with the help of one of the crew, he assisted my mini-me in the counter so she can claim it. You can try this app and download it from Apps Store via iOs or in Google Play via Android for Free! Happy Shakin and Goodluck on Winning! 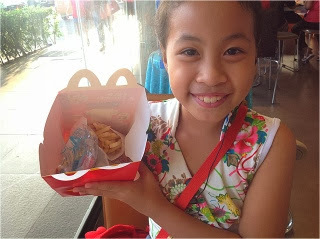 I wish there was McDo Happy Meal during my childhood years, I'd be one Happy Kid for sure...just like my Happy Kid when I got her a Happy Meal in a box for snack earlier. 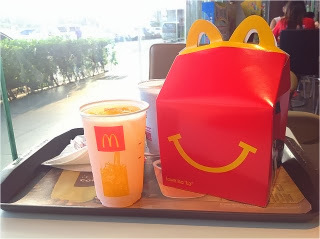 A smiling Happy Meal box with Burger McDo meal with fries and an orange juice for P85.00. McHappy Meal logo... So colorful! My Happy and excited kid posing with that Smiley. :) Also the box has this create your cartoon figure which she will create later. 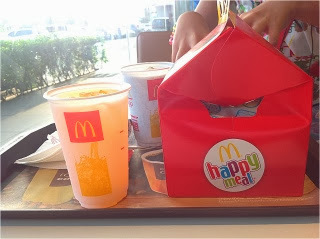 Inside was the regular fries, Burger McDo and a Doraemon toy. We chose this Doraemon WristCopter toy. 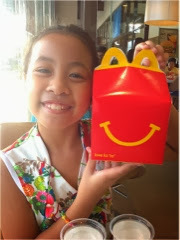 I am glad that McDo brought back this Happy Meal in a carton which really brings happiness to every kid. I love Happiness! It has been more than a week since our city of Olongapo suffered a massive flood due to non-stop down pour of rain for more than 24 hours. After the flood subsided it was time to clean up the mess it brought to our home. Things were all cluttered up in our bedrooms. 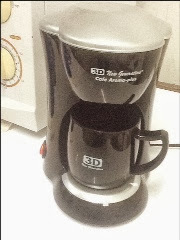 I saw this coffee maker in the box and yesterday decided to bring it at work and use it. It was a prize from Alaska Krem-top along with bags of creamer. 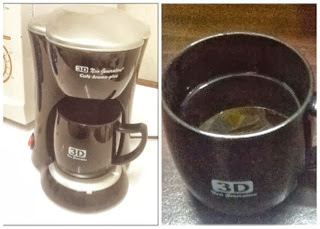 3D New Generation Cafe Aroma plus 8oz coffee maker. It is so cute that it can be mistaken as a toy coffee maker, it holds a 220volts wattage and light-weight material plastic. It also has this filter cup where you can put the coffee grains. Made an 8oz Fresh brew coffee, temperature was right not too hot. Although this was not enough for me I made another one in just a few minutes. 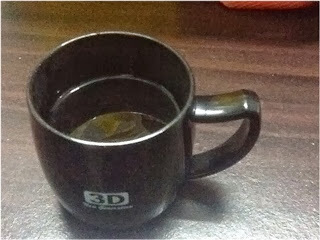 Now I can make my fresh brew in an instant with just one click of a button. The President proclaimed the list of Philippine holidays for the year 2014. Proclamation No. 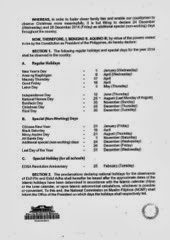 655, s. 2013, declaring the regular holidays, special (non-working) days, and special holiday (for all schools) for the year 2014.
in synch with the time in the US. He left the WiFi on the whole night until the update was done on his iP5. Now it's time to check and get used to the new updates. First I can't find my usual button i always use to adjust the screen light. I normally double click the home button and swipe it rightside and the button adjustment will appear now it's gone. Plus the background photo zoomed in and it won't fit the whole screen. Lastly, for now i need to convert the color background. It's all white... lol. I can see all post in social media would be about this iOs7 update, will update the iPad3 later when I get home. Did you update yours already? How are you loving it so far? 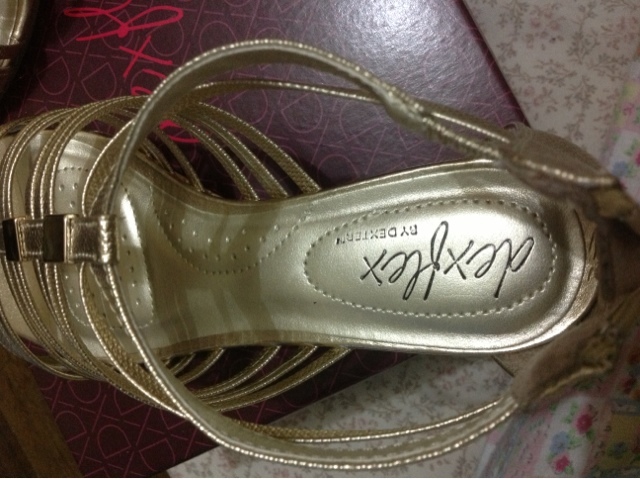 My new pair of shoes! 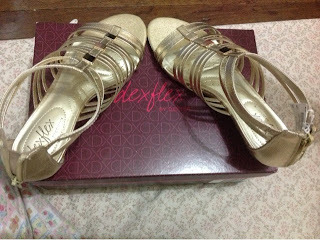 We bought a pair last Sunday at Payless and I love it! 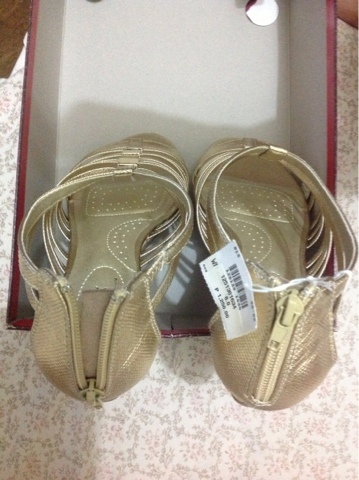 After scouting shoe stores at Harbor Point I finally decided to get this inch heeled gold strappy shoes with zipper at the back. Size 8 rubber sole which I like the most because of the non-slip sole material. 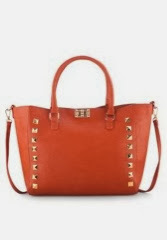 It was originally priced at P1,250 but got it on sale at P875.00. I am not so picky about shoes... 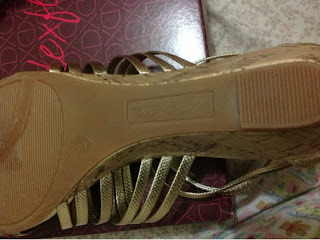 I love shoes that are comfy and yet stylish. I will be using this on Saturday for the Human Heart Nature Olongapo Anniversary. Did you buy anything for yourself last weekend? 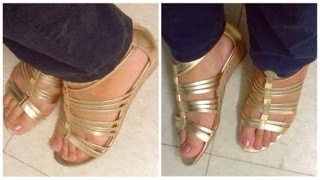 My typical black pants matching my gold strappy shoes and gold Esprit watch. 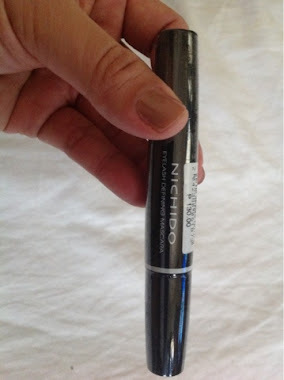 Last Tuesday I decided to grab a tube of mascara to replace the one I am using. I have been using Avon lengthening mascara for several months now, it was a gift to me from the US, it started to dry up and so hard to apply. 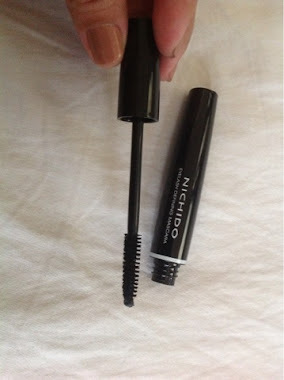 Mostly, a tube of mascara can be used within six months time after opening and especially depends on how you use it. After checking out products and prices of different brands at Watson's store at Harbor Point I decided to get Nichido Eyelash Defining Mascara because of the price and the brush from the tester tube. This is my first time to be using this brand and you know the feeling of first-time use, you get that excited. Me being so practical with every purchase I make, the amount is my main concern when buying stuff, especially with make-up. Not so big bristle brush in color black, just enough to cover those lashes. 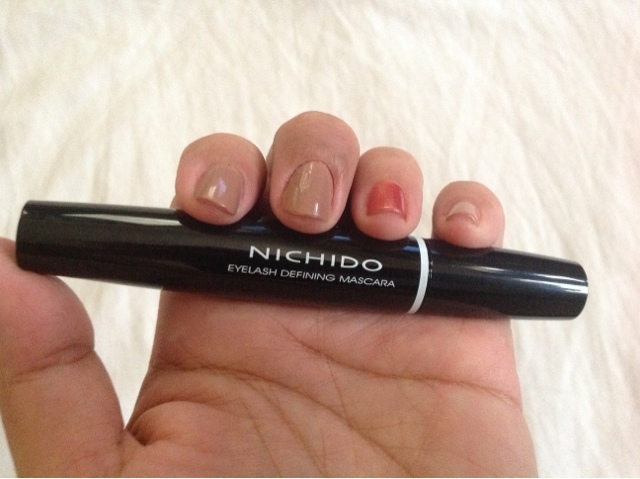 So far I have been using it for a couple of days now and I am satisfied with the after application, it lasted the whole day without smudge and clump. It was easily removed by using Human Heart Nature Sunflower oil that I always use as my make-up remover. Also an alternative to mascara products - you can read about the latest eyelash serums such as Lash Boost, that can give you permanent lash growth. 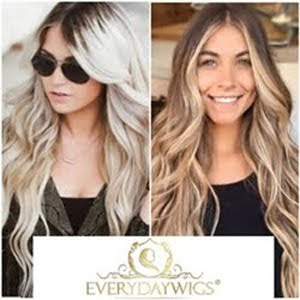 I would be willing to try this product if given a chance. 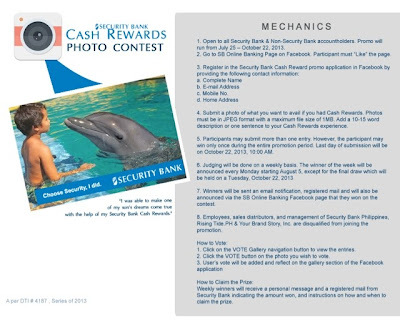 I won in Security Bank Online Photo Contest Week 4! Joining online photo contest is such a reward especially when your entry is picked and judged to be the winner. Taking photographs is one of my hobbies, I take photos of almost anything and everything I see. 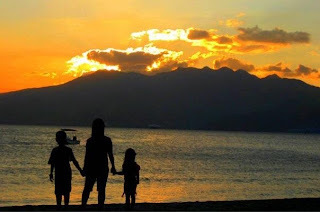 A few years back I was able to capture a photo of me and my kids one sunset afternoon at Subic Bay Boardwalk. It was a planned Friday afternoon, packed my tripod, some snack, a blanket, and my Canon point and shoot camera. We picked a spot and waited for the sun to set. I set the camera on a timer in multiple shots and we hurriedly run forward. We had like more than 10 pictures until I finally decided to pick this one and did some minor editing. Adjusted the saturation level for a good burst of color. Came this online photo contest by Security Bank Online Banking about what would want to avail if you had Cash Rewards of P5000? I instantly flipped over my archived photos and saw this one. I submitted it and put a short caption. the winning announcement made by SB Online Banking. Blessings come at the most unexpected times.